She is four years old today! Since I love Marvel comics and I love Phineas and Ferb, loving Mission Marvel was a no brainer. I think the best part of Phineas and Ferb is that my wife and daughter love the show as well. Its awesome "geeking" out as a family and sitting down together and watch an episode. Or after we put the kids to bed, my wife and I watching episodes on demand...DEFINE AWESOME (geeking out with your wife)! This was no different. In the title sequence, Spider-Man tells Aunt May about what Phineas and Ferb are doing a la Candace and mom. Stan Lee first cameo: He is selling Hot Dogs at his Excelsior Hot Dog stand. After the heroes lose their powers, Nick Fury says "Yes, yes I have" ... the "Yes, yes I..." comment used constantly on the show. Red Skull comments about that Doofenshmirtz sounds Drusselsteinian and he has a Drusselsteinian relative. ...So the Red Skull has a relative from Doofenshmirtz's hometown. Spider-Man asks Phineas "Aren't you a little young to be stealing superhero's powers?" ...the question "Aren't you a little young to be..." is constantly asked of Phineas. Nick Fury, Red Skull, and Venom comment about Agent P not having powers: Is he some kind of super platypus with super platypus powers? Does he have a super platypus exoskeleton? Is he super-soldier platypus like Captain America? Was he was bitten by a radioactive platypus, like Spider-Man? A falling Iron Man is saved by Hulkjeet a la the Hulk saving Iron Man in the Avengers movie. After the heroes regain their powers, Thor's hammer has a bunch of parking tickets and a boot on it. On my quest to Comic Con 2014, I am NOT going to dress as this guy! 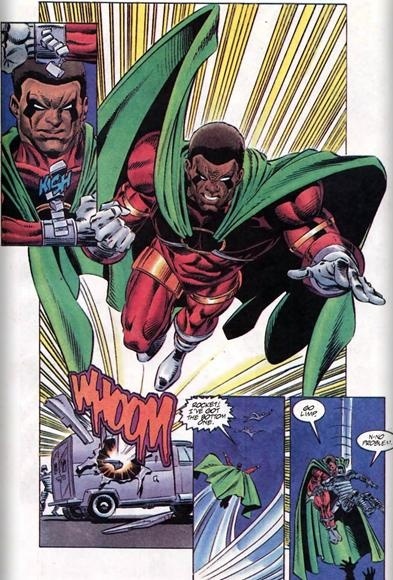 This is Olympic gold medalist Jefferson Pierce, he was born with the meta-gene (DC comics version of mutants). He donned the costume and called himself Black Lightning to battle local thugs that were threatening his neighborhood. Later he joined Batman when he formed the Outsiders and still later he joined the Justice League. He has the ability to generate and magnify electromagnetism. 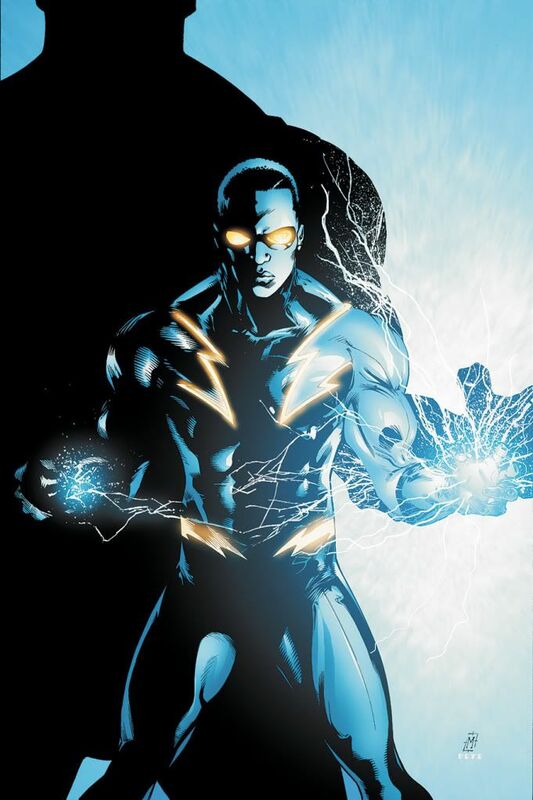 Black Lightning uses this ability to fire bolts, generate force fields, among other effects. He suppressed this ability for most of his life. He first appeared in Black Lightning #1 (April 1977), and was created by Tony Isabella and Trevor Von Eeden.